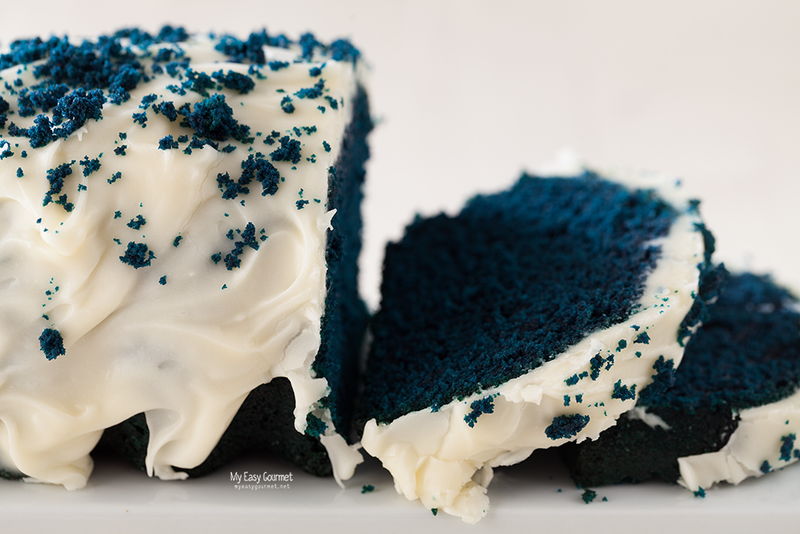 Royal Blue Cake. Just another chocolate cake… or not. 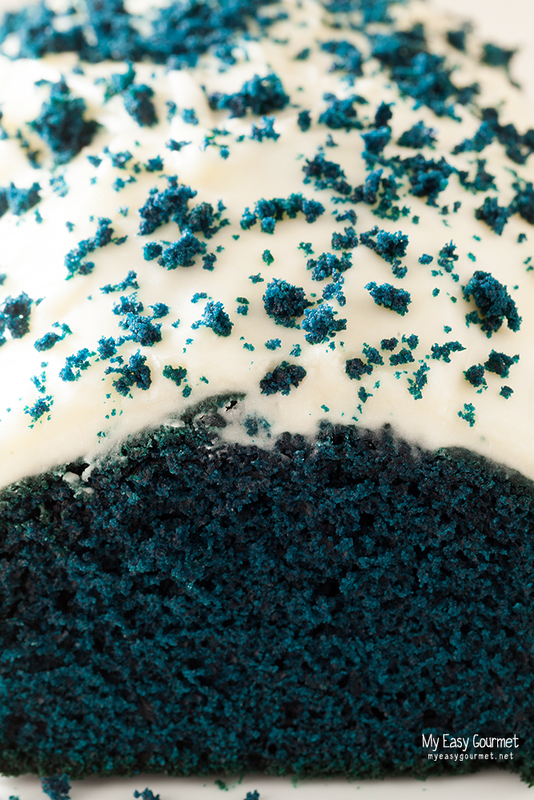 Actually, you can skip the chocolate part all together as it makes it really hard for the colour to pop out. And then, you’ll have to add more colour, which is what I did. Royal blue tongues could become a thing. 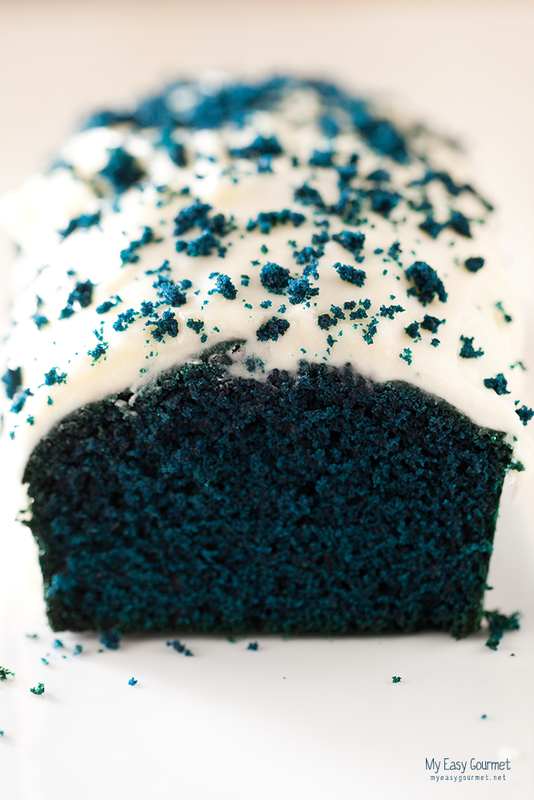 Here’s the Royal Blue cake recipe. Add the milk, the cocoa and the food colouring. Fill the baking for and bake for about 40 minutes. Check by inserting a toothpick in the center of the cake. If it comes out clean, it’s ready. 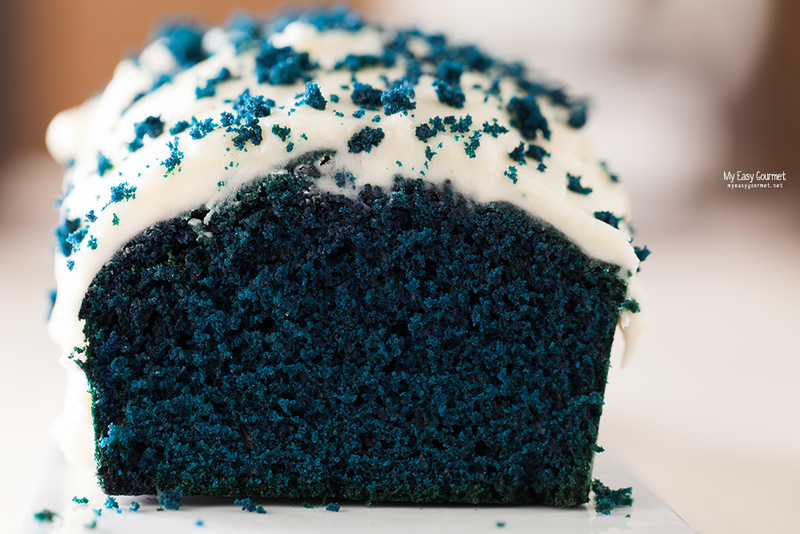 Wait til it cools down before decorating with the frosting. Shift the icing sugar and add it in two batches.